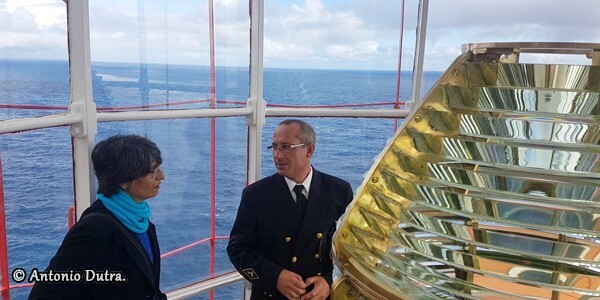 A visit to lighthouse of Arnel. The majority of lighthouses around the world are automated. This automation led to the departure of the guards. The last evolution is to put Led wherever possible. The goal is to reduce interventions. 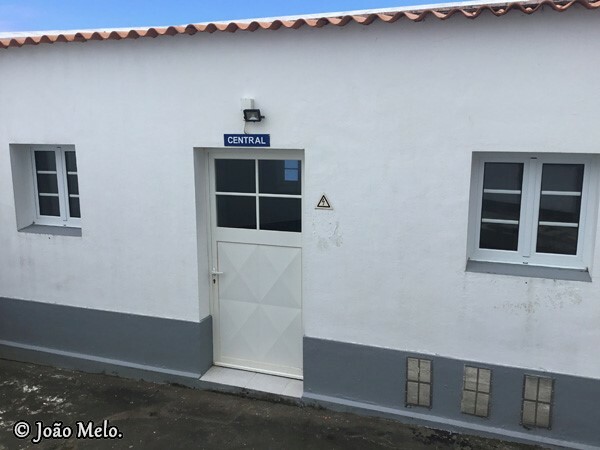 In Portugal, the administration sees things differently. 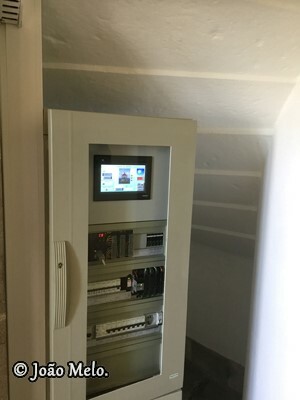 Lighthouses are also automated. Leds are placed in beacons. But the keepers stay in place. Keepers depend on the "Maritime Authority" ( military institution). They are trained there and new keepers come out every year. 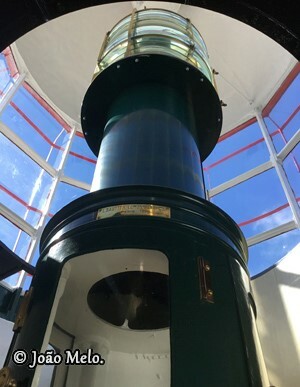 Their missions are to maintain the lighthouse, monitor navigation, provide advice including weather and maintain heritage. 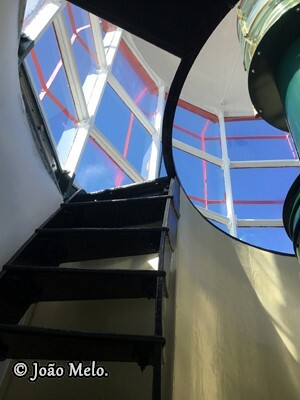 The keepers must also open the lighthouse for the visit. It is done in small groups. Explanations of the history, operation and purpose of these building are given. 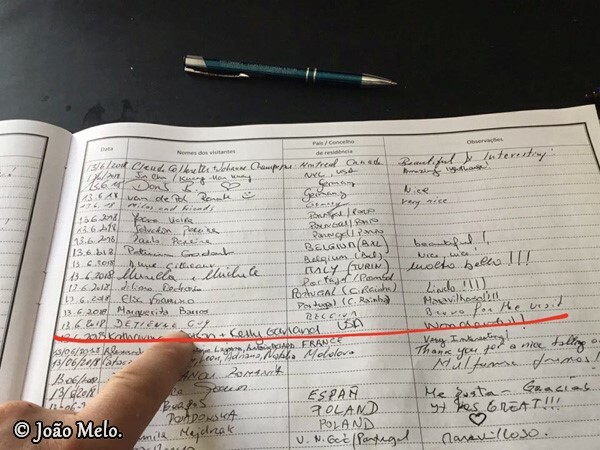 I will make you experience this visit I made in June 2018. 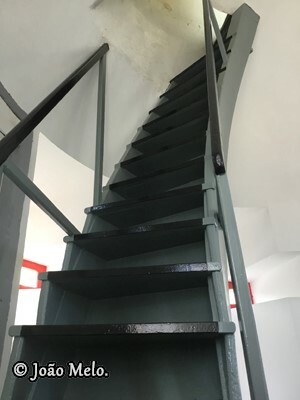 Visit inside of the lighthouse. 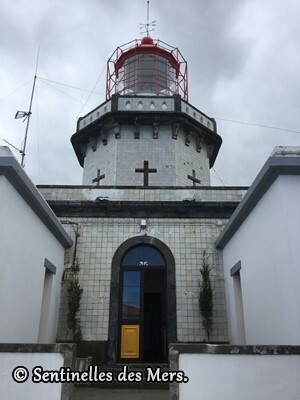 The Arnel lighthouse is visited by group. The keeper welcomes visitors to the lobby. He gave some explanations about the lighthouse and its functions. 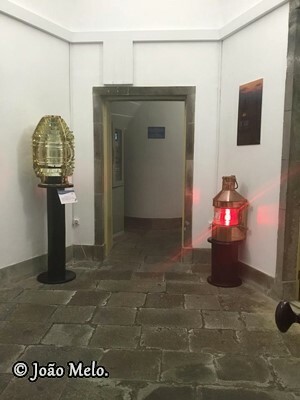 A room, called “Station of the keeper” is the strategic location of the lighthouse. 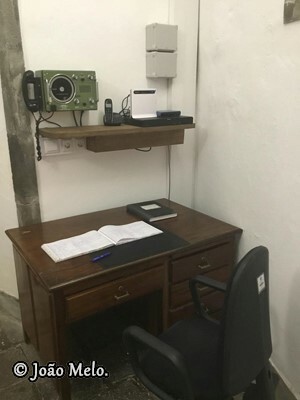 We find the means of communication (VHS station), the computer that controls all the functions of the lighthouse, the desk of the keeper with his daily book. It shows everything that happens in and around the lighthouse. Access to this space is of course forbidden to the public. 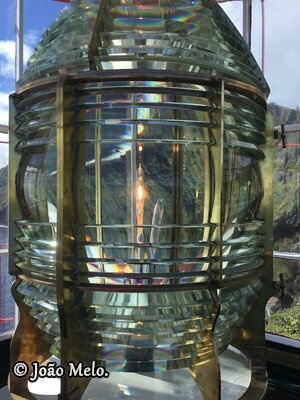 In the entrance, one lens and two beacons are exposed. 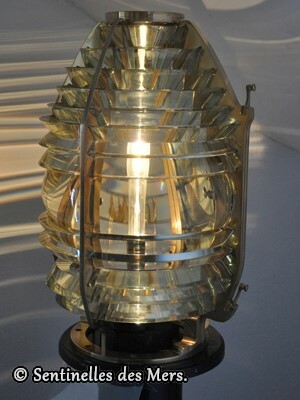 Fresnel’s optics are 8° order. The other two beacons were used in the 19th century. 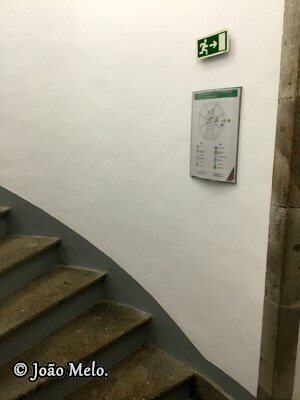 On the way to the first floor. 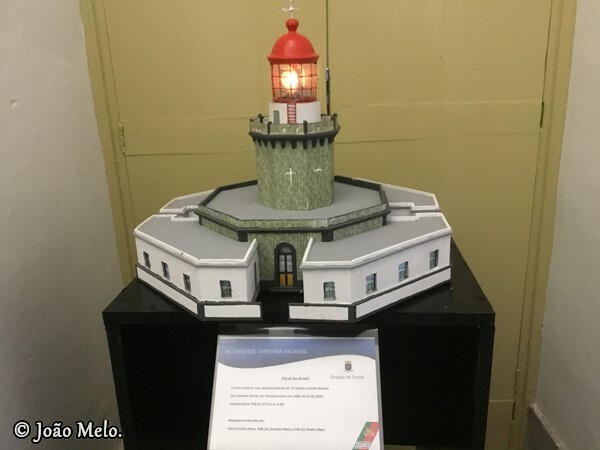 At the foot of the staircase, a model of the lighthouse made at a scale 1:200 by the keepers during free time. 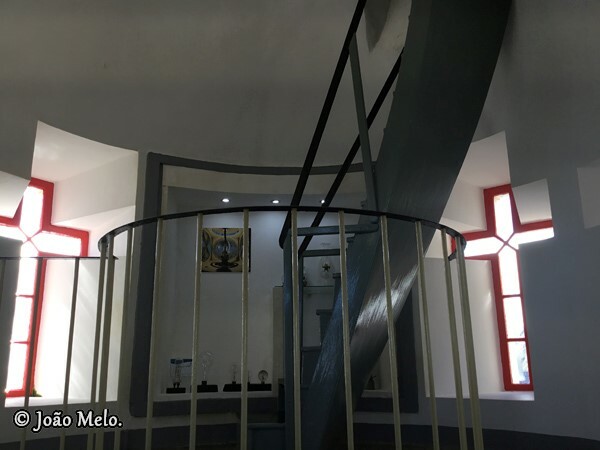 The climb to the first level is made by a concrete staircase of 30 steps. 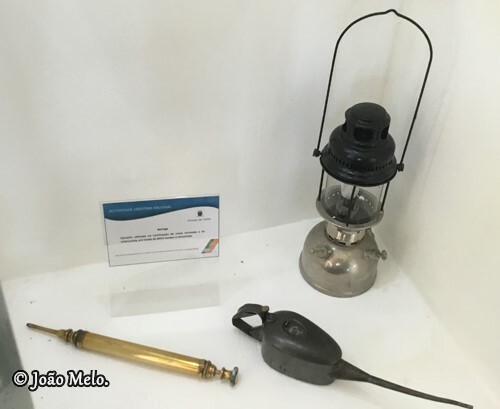 On this level, a small museum exhibits different lamps. They were all used at the lighthouse. They range from 150 W to 1000 W.
Old accessories are also on display. 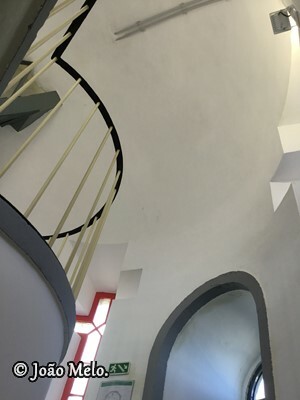 The staircase towards the lantern. Optics are reached after climbing the 15 steps of a wooden staircase and the 7 steps of a metal staircase. The lantern and the optic. Here we are in the lantern. Fresnel’s optics with her brass are extraordinary. She’s about 100 years old. It’s a third-order lens with a 500mm focal length. The halogen lamp is 1000 W.
The lamp changers contain 3 lamps and allow to quickly return to service. This optic was reintroduced in November 2018. 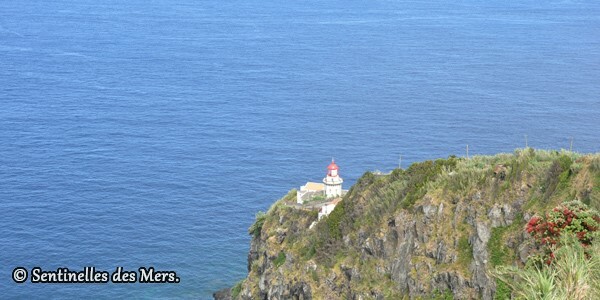 From the lantern, you have an exceptional view of the coast. 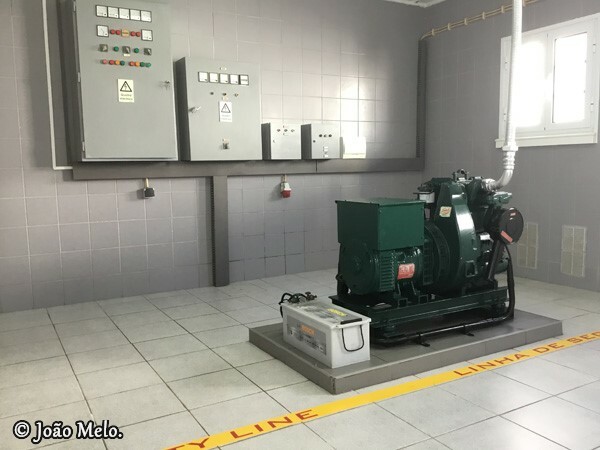 The engine room is located near the front door. 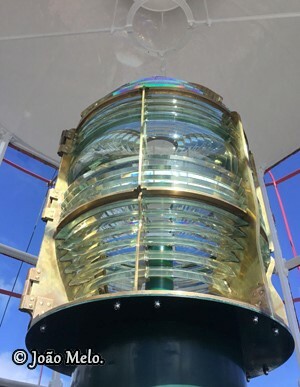 It has all the electrical connections to the lighthouse and the generators. 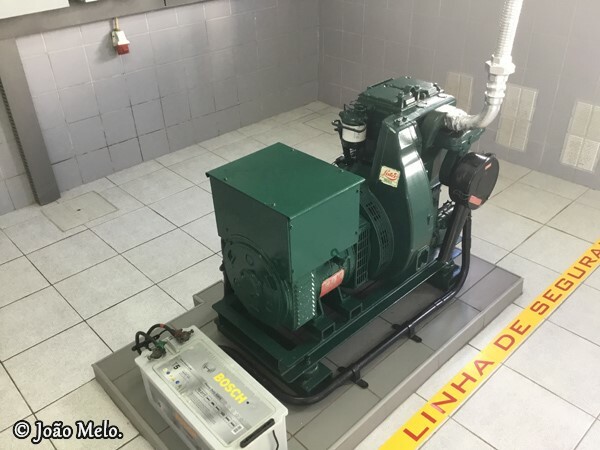 The generators are more than 79 years old. It is of for the regular maintenances carried out by successive keepers. These units are activated when a failure occurs in the external power supply system. 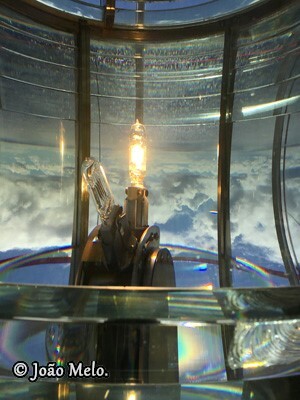 These power the entire electrical installation of the lighthouse. The end of the visit. Before leaving the lighthouse, a book is available to visitors. They can give their impressions of the visit. These remarks please the keepers. Don’t forget to say a few words. A few years ago, an English sailboat went through the Atlantic to the Caribbean. A few days after leaving the United Kingdom, the Yacht was caught in a big storm. At the same time, it lost all electrical systems on board: GPS, VHF etc. For 2 days, they sailed without electrical equipment and without knowing their location. In the middle of the night, they began to see in the sky a periodic reflective light reflecting in the clouds. They took a stopwatch and they started counting the luminous sequence. Because the signals were repetitive, they understood that it could be a lighthouse. They searched the charts to find this feature. At that time, the code corresponded to FL W 5S (Ec4 & Lt1). They found this feature on the map. It was Arnel’s lighthouse. They followed that light. 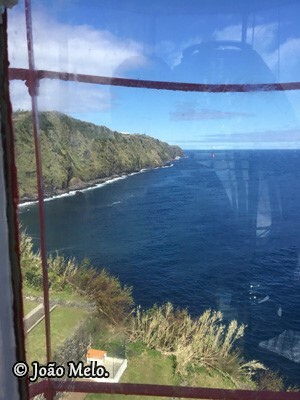 The next morning, when the service keeper went up to the lantern to adjust the curtains, he found the yacht anchored on the bay right there in front of the lighthouse. One day later, the English came to the lighthouse to say how much they appreciated the existence of this lighthouse and especially the help it had given them. That’s just one of the stories about Arnel’s lighthouse. 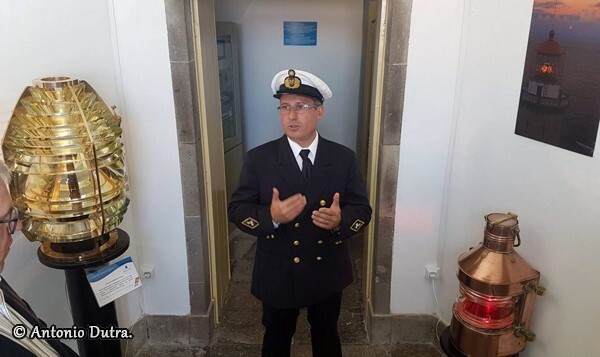 I would like to thank Mr Rui Melo, chief keeper of Arnel’s lighthouse, and Mr Pedro Melo, keeper, for the exceptional visit that was provided to me. 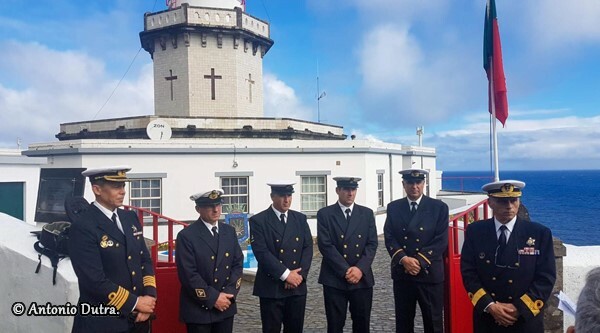 It was very interesting to understand the important role of Lighthouses in the 21th century as an active Aid to navigation, the work and the stories of the lighthouse. At the same time, it was interesting to understand the important role of the keeper. As the person responsible keep the attentive look for the sailors passing on his area, maintaining and preserve this important buildings. My thanks also to Mr Joao Melo, for the photography. 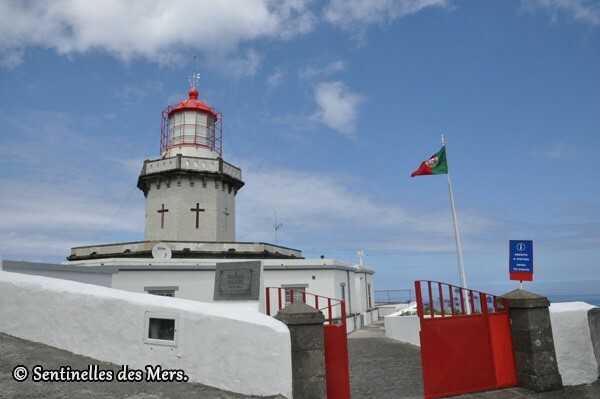 I hope to return to Sao Miguel and meet you in front of the lighthouse for a second visit.